Florida State quarterback Jameis Winston won the Heisman Trophy in 2013 and helped the Seminoles go 14-0 to take a national title. 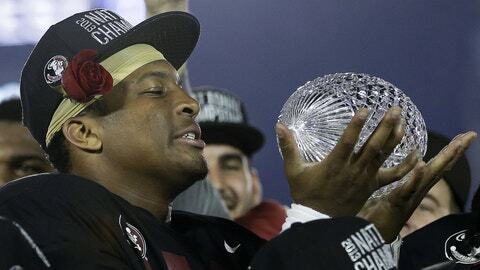 If Florida State is to defend its national title, the Seminoles will begin and end the season in Dallas. Florida State will play its home opener against The Citadel on Sept. 6, and then the Seminoles will enjoy a bye week before hosting Clemson on Sept. 20. November will again be a crucial month as the Seminoles travel to Miami on Nov. 15 and finish the regular season against Florida on Nov. 29. 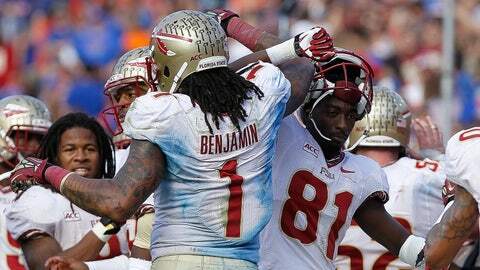 Florida State will play four teams that finished 2013 ranked in the top 25 of the coaches’ poll: No. 7 Clemson, No. 15 Louisville, No. 17 Oklahoma State and No. 24 Notre Dame. The toughest back-to-back games appear to be an Oct. 11 trip to play at Syracuse and then a home matchup against Notre Dame the following week. Florida State has hosted Notre Dame just once as the Irish won 34-24 in 2002. Florida State will also play a Thursday game at Louisville on Oct. 30, but the Seminoles did get a bye the week before. The Cardinals will be playing their first season in the ACC in 2014. While FSU has some big shoes to fill at receiver, the Seminoles return the core of the offense and defense as they try to defend their national title. The Seminoles will be aiming for their third straight ACC title. If they win the Atlantic Division, Florida State would play the Coastal champion on Dec. 6 in Charlotte, N.C.
After the conference championship game, the bowl playoff begins its first season. Semifinals will be held at the Rose Bowl and Sugar Bowl, and the national championship game will be in Arlington, Texas, on Jan. 12.